CHILD protection detectives in West Sussex have today, (Tuesday, May 8), charged two men, including a priest who lives in Shoreham and worked in Tarring, with sexual offences. Keith Willkie Denford, 72, of Broad Reach Mews, Shoreham, and Michael Mytton, 68, of South Road, East Chiltington, will appear on bail at Mid-Sussex Magistrates’ court on Tuesday, May 22. Denford has been charged with four indecent assaults on two boys under 16. 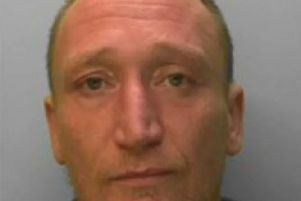 Two of the alleged assaults on the first victim took place “in or near” Shoreham and one took place “in or near Cuckfield” between June, 1987, and January, 1990. Denford, who was previously rector at a CofE church in Tarring, has also been charged with one indecent assault on another boy, aged under 16, “in or near Cuckfield” between January, 1987 and December, 1990. Mytton has been charged with one offence of aiding and abetting Denford in alleged Cuckfield assault on the first mentioned victim. The two men were originally arrested on Thursday, November 3, last year on suspicion of sexual offences and were released on police bail later the same day. They were charged on the authority of the Crown Prosecution Service when they answered to their bail at Crawley police station today.